But if your data is not in Excel to begin with, taking it into Excel to prepare it for entry into Minitab isn’t necessarily the best step. 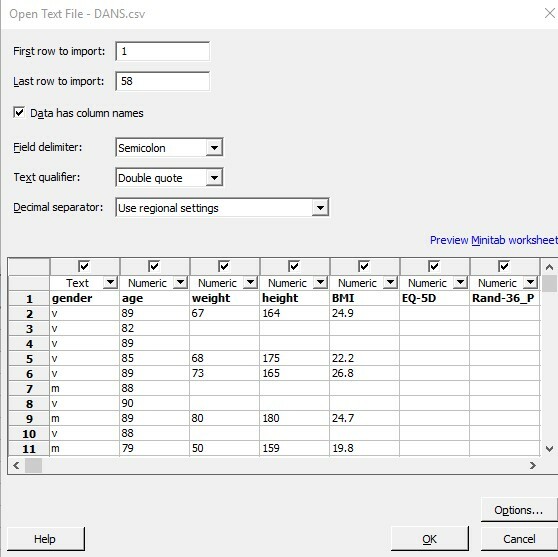 Minitab makes it easy to work with data in formats like txt, dat, and csv so that you don’t have to use more than one program. For example, take the results of a recent study about using a wearable sensor to measure how well human subjects could move from a sitting to a standing position. The data are publicly available in csv format, but with an interesting twist. Although csv traditionally stands for “comma-separated values,” this data set uses semicolons as the separator between values in different variables. 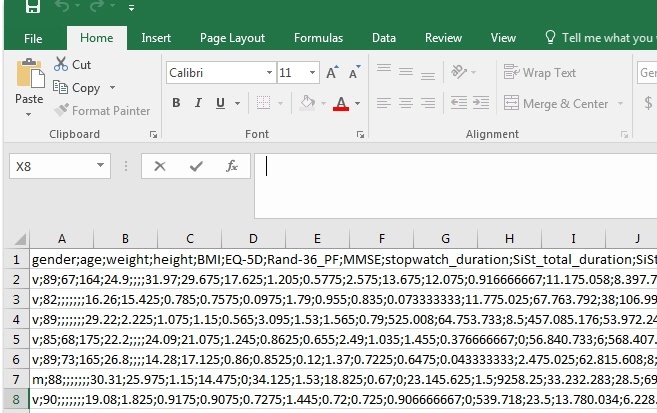 Because all of the data are opened in column A, they’re not ready to analyze. You could change all of the semi-colons to commas and reopen the data set…but it wouldn’t help. You could write formulas to separate the columns out yourself, but that’s at least 1 formula per variable, and there are 30 variables in this data set. But if you’re planning to analyze the data in Minitab, fixing the data in Excel is unnecessary. In Minitab, you just have to do is identify that the data have column names and what the value separator is. In the dropdown next to Field delimiter:, change from “Comma” to “Semicolon.” The preview will show it’s looking better already! Hit OK. You’ll get a note that this file is being added to your current project. Hit OK again and you will see your new Minitab worksheet. In this case, Minitab offers more flexibility in the data that you work with than Excel does. And once all of your data are in their correct columns, you can begin the analysis that will help you to make better decisions. Minitab makes sure that your data’s ready in just a few seconds. 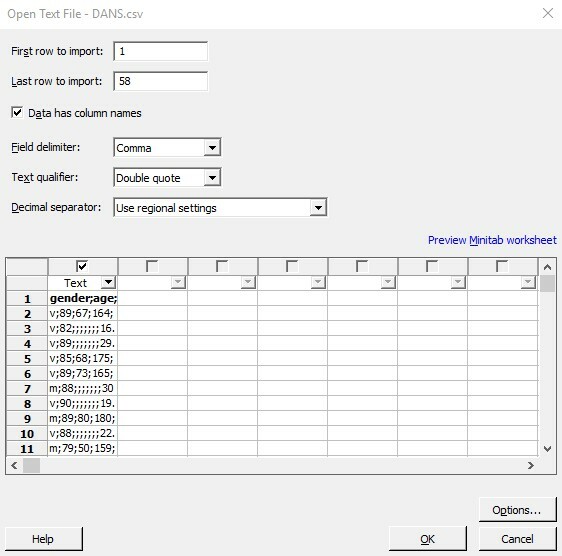 For general overviews of some other ways to get data into Minitab, check out Import data into Minitab from the Minitab Support Center.